ABUJA – THE Nigerian Air Force, NAF, Monday said its remotely piloted aircraft (RPA),last Sunday, successfully destroyed an artillery gun and some gun trucks belonging to the Boko Haram Terrorists in the Sambisa Forest, killing many in the process. The statement read further:”The NAF crews on both the ISR and the armed RPA trailed the withdrawing insurgents to their final destination in Parisu. 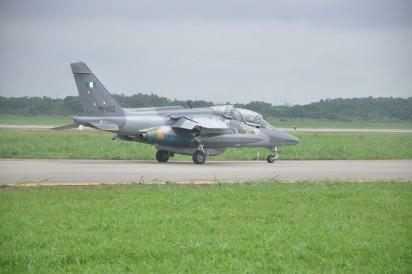 The post NAF remote-controlled aircraft hits Boko Haram settlement, kills many appeared first on Vanguard News.